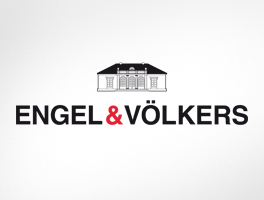 Engel & Völkers Madrid offers a wide range of highly professional services to its clients, including: appraisal, marketing, consultancy, market studies, sale and after-sales. Through a brand of recognised standing and a unique international network that is constantly expanding, Engel & Völkers Madrid provides access to an extensive network of upper class international clients. The Chamartin district is one of the most exclusive in Madrid. Located in the north of the city, it is as emblematic as the regions of Prosperidad, Hispanoamérica, Nueva España, district of Jardín, City Garden and, above all, El Viso. Moreover, its strategic location in the capital bordering the district of Salamanca, Tetouan, District of Lineal and the Fuencarral-El Pardo. 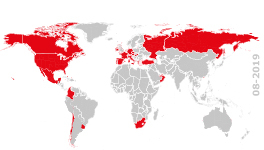 The population, according to the last census, consists of more than 140,000 people, many of whom have high purchasing power. Undoubtedly, its peaceful atmosphere and its wide range of leisure facilities are the most attractive aspects. It is one of 21 districts that makes up the municipality of Madrid. Specifically, its name is due to the Marqués de Salamanca, a Malaga architect who promoted its construction during the nineteenth century. Currently, it is considered one of the most elite and exclusive neighbourhoods of the capital of Spain and part of Europe and therefore, people who live in this district have a really high purchasing power. In fact, the price of houses per square metre is (3756 euros on average) which is the highest in Spain. is without doubt one of the most famous districts in the capital of Spain and one of the most attractive places in which to live in. In fact, despite having only 5.23 square kilometres, according to the latest population census the total population reaches almost 150 000 people. Moreover, it is the oldest district and within it, has room for the main buildings and monuments that make up the 'Madrid de los Austrias'. La Puerta del Sol, the post office, and Royal Palace and the Casa de la Villa are among the best known landmarks in this city. The Retiro district of Madrid is one of the most emblematic and well-known parts of the city. Furthermore, the district is made up of Pacific Ibiza, Jeronimos, oleanders and Baby Jesus, all of them being highly exclusive and elite. Of course, we must not forget that within its borders, there lies a place that's one of the main tourist attractions of the capital of Spain known as the Retiro Park, a real green lung in the heart of city. In short, it's a privilege to live in the heart of the capital of Spain, with excellent communications and a great atmosphere characterised by total tranquility.